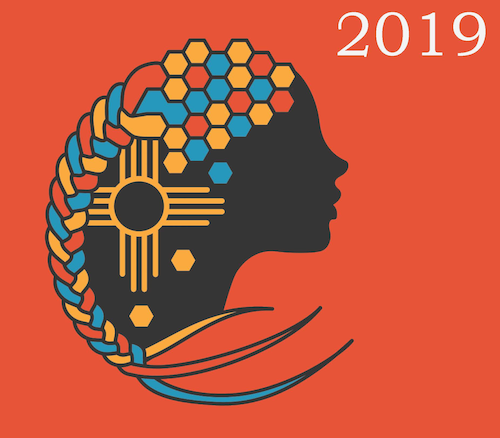 Los Alamos National Laboratory, the New Mexico Consortium, Pojoaque Valley and Los Alamos Public Schools are organizing a two-week Summer Physics Camp for Young Women in Northern New Mexico. The camp will focus on boosting understanding of the physics of the Sun, Earth, and everything in between. The students will also be introduced on how to write their resume, how to interview for a job, and how to make some tasks fun by learning the basics of computer programming. Students will also be introduced to a variety of opportunities for internships at LANL and in local New Mexico Colleges. What are the benefits? This summer camp is FREE to students and lunch will be provided. Participants who complete the program will receive a stipend. Transportation from NM Park and Ride Depot in Pojoaque (Cities of Gold parking area) can be arranged. This camp is for young women attending high school in Northern New Mexico. You must have completed Algebra I or a higher level math course. Send us a letter expressing why you are interested in this program, how you believe this program will be useful to you, and your current career interests. Ask a teacher from your school to send us a letter supporting your participation. Ask your school to send us your high school transcript or equivalent that shows you have completed Algebra I or higher. All documents should be sent to lanl-physics-camp@lanl.gov by April 15, 2019.